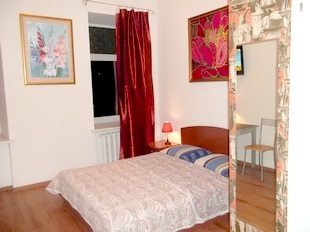 Location: the apartment is located in the historical center of St. Petersburg, a 10 minutes walk from Nevsky prospect, on Liteiny prospect - wide avenue crossing Nevsky prospect (main street). 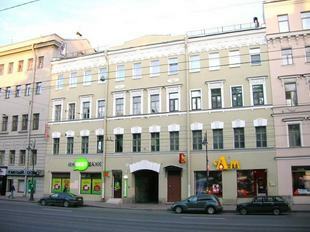 Metro stations nearby are Mayakovskaya and Chernishevskaya, apartment is also close to Fontanka river, Summer Garden, City Circus. 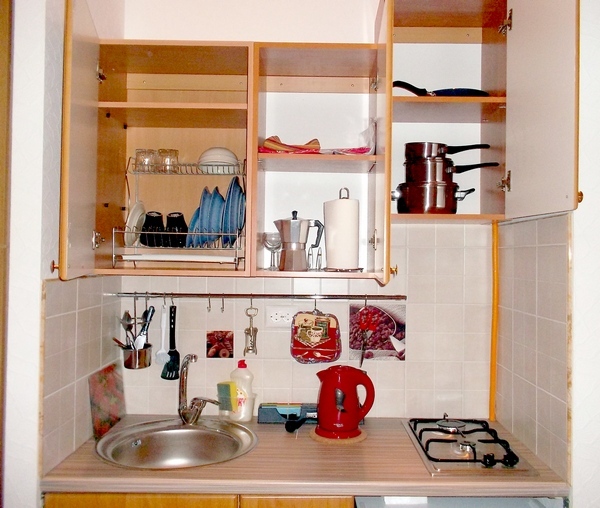 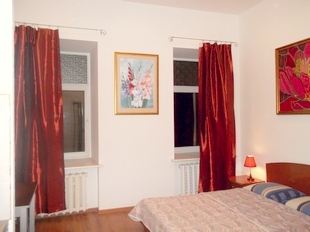 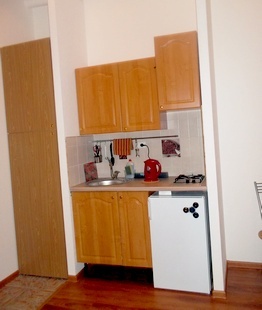 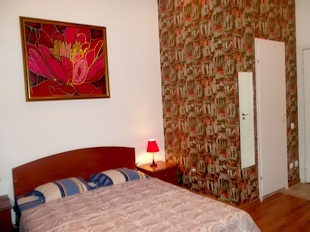 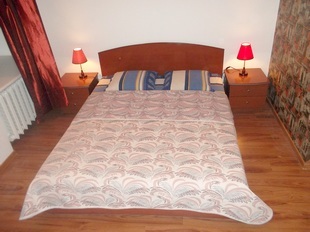 The large hotels nearby are: Radisson Nevsky, Radisson Sonya, Arbat Nord. 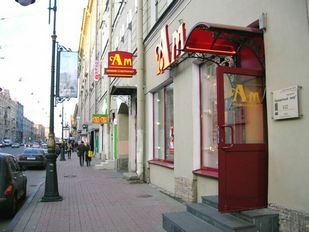 Just some steps from the apartment there are many restaurants, coffee-shops, jazz-club, banks and stores. 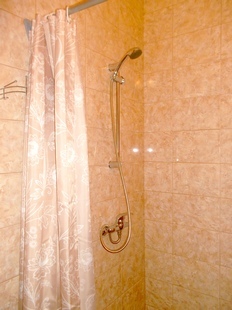 See location at Google map. 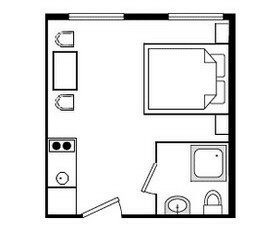 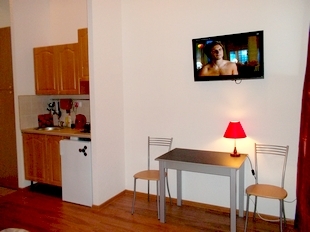 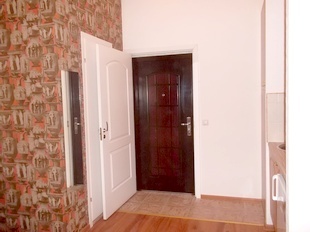 The apartment is brand new (renovation completed in 2013) and has 3 metal doors at the entrance. 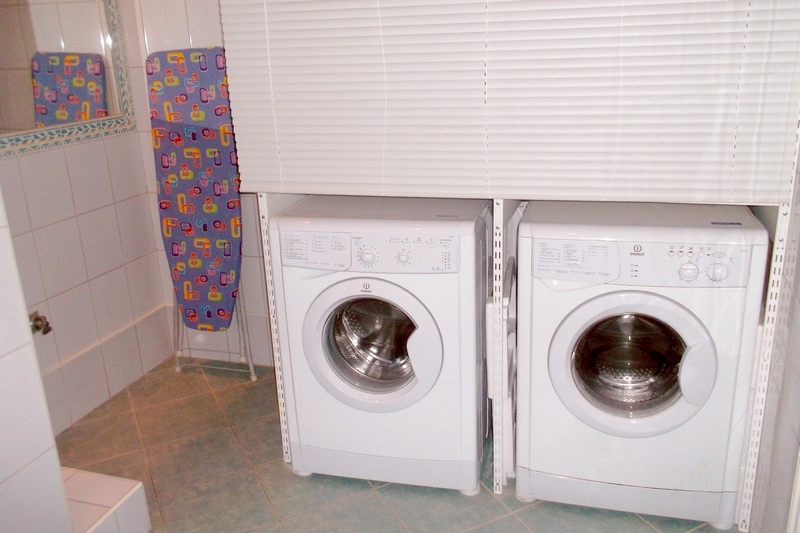 Triple glass windows protect from noise and temperature. 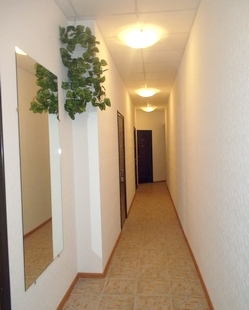 It is located on the 3rd floor (no lift), the entrance is directly from Liteiny avenue, without yard. 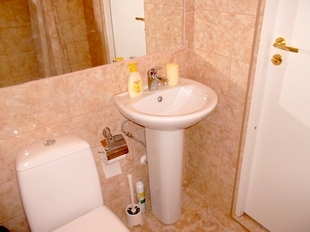 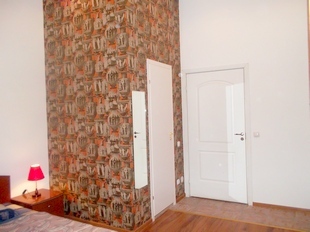 This apartment is located together with 3 other Studio apartments, so, it is possible to accommodate groups up to 7 persons in these 4 Studio apartments located together.